Belt Loop Size: * Choose Options 1½" 1¾"
Ordered a holster for a Chiappa Rhino 40DS, as there are only a few companies that make them for this strange weapon, the holster came in a timely manner, and the weapon fits perfectly in the holster and will be great for competition shooting! I've tried a number of companies trying to find a good holster for my S&W M&P shield 45 and most of them do not carry one for my gun. I ordered one from Gameface, through a friend's recommendation, and I was actually surprised when I received it in 3 days. Most other companies making custom holsters were quoting me 3-4 week delivery. I love this holster. It fits perfectly. It is very comfortable for concealed carry. It keeps the gun close to the hip so someone would hardly know you carry. Mine has the 10 degree forward cant. 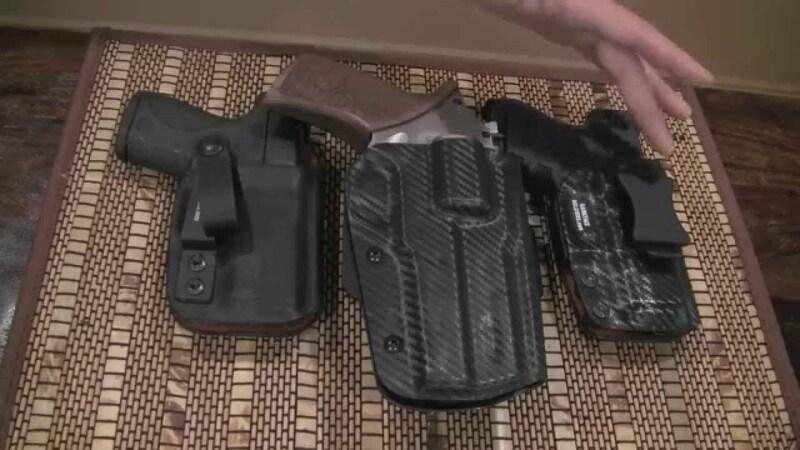 The gun fits so snug in the holster that if someone comes up behind you to try an take your gun they will have an extremely tough time getting it out. The adjustable tension on the holster is a great feature so it can be adjusted to my draw and still not allow the gun to come loose during driving and moving around. I would definitely recommend this holster to anyone that is looking for an awesome reasonably priced holster. I will also get one for my Kimber 45 soon. This company makes the best holster I have ever owned. The quality is among, if not the best, I have ever seen. Great website, easy to use and I had the product I'm hand' within a week of odering. If I could rate everything from top to bottom higher, I would. I received both Holsters and their quality and overall look is the finest I had the privilege to own. Thank you for doing the great quality work that you all do. Probably the best Rhino holster out there in my opinion. So, I had been looking for a holster for my Chiappa Rhino for almost a year when I came across this site, and I must say I am glad to have not settled for anything else. I do not like 99% of Rhino holsters on the market right now. It seems like they are all IWB or strangely configured leather with canted belt loops, or polymer with a paddle setup. Nothing against them personally; they were all, as far as I can tell, well made. But I myself just don't like IWB holsters or paddle setups, and I like polymer more than leather when it comes to holsters. So I was overjoyed when I found that this sight makes a Blackhawk-esque holster for a Rhino. Just the sheer number of options available for the mounting setup they give you is incredible. No more settling for the least uncomfortable holster you can find. You can choose exactly what you want. I chose the standard belt setup with the ability to detach the holster from the mounting pad and adjust it to different cants, and while the configuration of screws/holes is less intuitive than on a Blackhawk holster (I make that comparison often because my other favorite holster is a Blackhawk for my Glock19. I love it, and comparing the GameFace Rhino holster to it is high praise for me.) it works just fine and you can set the draw at many different angles. And if you are somewhat put off that there is no strap or button retention, like I was at first, you have nothing to worry about. The natural retention is adjustable by tightening or loosening two screws at the bottom of the mold to fine tune it to your liking, and because of the satisfying 'click' it makes when you fully insert the firearm, it would be virtually impossible for the gun the shake loose, and it would be difficult for someone to try to draw the gun and disarm you. The way the retention works, it is much easier to draw from certain angles than others. So while drawing is a bit of a learning curve if you are used to blackhawks or similar holster setups, if you are looking for a Rhino holster, I would highly recommend this one. I absolutely love it. and i am very picky when it comes to holsters. The staff is amazing to work with and my holster was very well priced! overall very impressed and i will never buy holsters any where else! I was looking for a cross draw for my PPS to carry on my horse. It was a difficult task finding one. I have to say I am very pleased with the Game Face Holster security, flexibility and comfort! Gameface Every Day Carry Outside Waist Band holsters are made with Kydex™ in your choice of colors. All EDC OWB holsters come standard with adjustable cant for a custom fit and tension screw(s) that are adjustable to give perfect retention. Select your personal preferance options such as color and attachment type/style in the order form. Since each Gameface Holster is custom built please inquire about any specialized feature that you may require, we are happy to work with you to meet your specific needs. ORDER NOW by simply choosing options above. CURRENT DELIVERY TIMES ARE ABOUT TWO WEEKS.